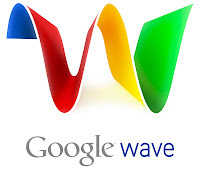 What to do after getting access to Google Wave? First of all congratulations to you if you have access to Google wave. But what to do after you have access to a wave account.? First you need to invite your friends and colleagues to Google wave. There are 20 invites you can send. Then you can use it wisely as stated in Techcrunch. Don't make the mistake of selling it on e-bay or somewhere else. The person you might be selling your wave account might misuse your identity. So be wise don't sell your account. You will only get $70 (average). Now $70 is far less to sell your digital identity isn't it? Mind sending me a Google wave invite? I gave you the invites. Please be patient.